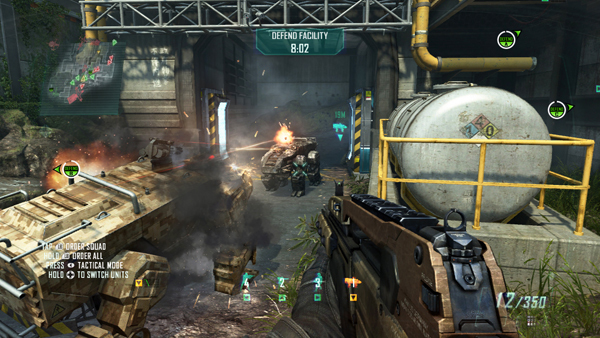 The highly anticipated Call of Duty: Black Ops 2 computer game, crammed with all kinds of gory shoot-em-up scenarios, zombies and terrorism, sold more than eight million copies in the first 24 hours after it was released, making it the fastest selling game of all time. The latest Call of Duty release officially went on sale throughout the world at midnight on Monday and stores up and down the country stayed open all night to allow die-hard gamers to get their hands on it. STUDY: Are over 40s really the most prolific scumbag sexters? That's awesome that so many copies got sold so fast, because it's an awesome game to play. I wish I could buy it too like some of the people out there who can, but unfortunately I can't afford the price tag. I was however sold on playing the game after watching the first few minutes of the demo over at a co-worker's house from DISH, so I had to put it in my [email protected] rental queue. [email protected] from DISH I believe is the most economical way to rent games and it even comes with a free trial! I can't wait to start playing the game at home myself. I can tell that playing this game isn't going to get old any time soon.